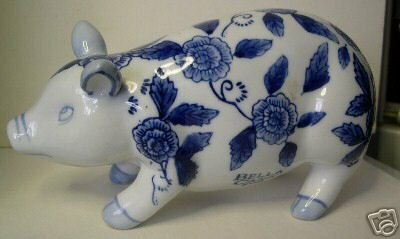 Adorable Blue and White Porcelain Bella Casa Pig is made by Susan Ganz. It measures about 7 inches long, 4 inches high, and 3 inches deep. This style is now discontinued and very collectible. It is quite heavy for it's size and very well made. The condition is excellent. 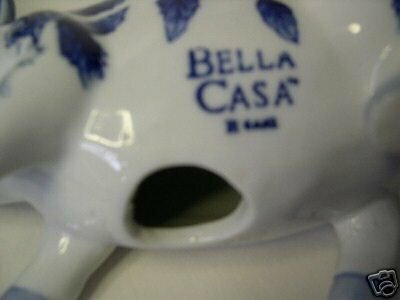 Items Similar To "Porcelain Bella Casa Pig by Ganz "